BreakPoint: A Lack of Judgment? In fact, according to Professor Michael McClymond, a very different idea is gaining popularity, even in evangelical churches. It’s called “universalism,” the belief that in the end, God will redeem every human being, and maybe even Satan and the demons. McClymond has written a book on the history and beliefs of universalism, as well as its recent resurgence in American Christianity. In “The Devil’s Redemption,” he documents how authors like Rob Bell revived and popularized an old but fringe idea: that God will never finally judge anyone, but will continue wooing the wicked into eternity, until even the worst come to repentance and faith. In an interview with Christianity Today, McClymond calls this doctrine not just a theological mistake, but a “symptom of deeper problems.” It’s easy to see what he means. We live in a time when many Christians eagerly downplay God’s condemnation against sin—especially sexual sin—in favor of a more therapeutic, feelings-centric approach. In these theological waters, universalism thrives. McClymond calls it “the opiate of the theologians,” since it allows them to tell a live-and-let-live culture exactly what it wants to hear: that God is a cosmic grandpa who will never finally hold anyone to account for their rebellion against Him. Jesus, in fact, spoke more often and vividly about Hell than anyone else in the New Testament. That’s part of why Lewis concluded that real, eternal judgment, as horrible as it might seem, is the only way Christians can affirm the holiness of God and the moral freedom of human beings. The kind of love universalism demands from God wouldn’t really be love at all. Imagine a God who never put an end to evil, and who never quarantined those determined to continue committing evil—a God who never told school shooters, genocidal dictators, rapists, gossips, or cheats who refuse to accept His help or authority that enough is enough. There could be no ultimate restoration of creation, and no ultimate peace for the redeemed. Lewis’ insight, which he developed in both “The Problem of Pain” and “The Great Divorce,” was describing Hell not so much as a place, but as a process. Many alive on this earth, he wrote, have already embarked on the early stages of Hell by trying to live life without God. In the end, he suggested, God would give them what they want. And they wouldn’t like it. 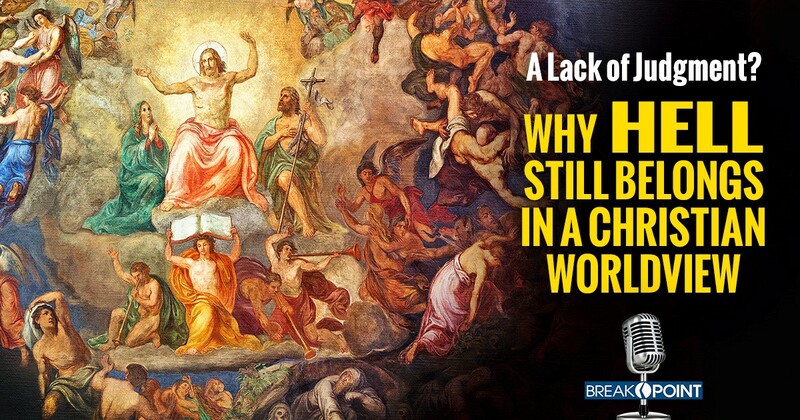 The one thing God will not do—and cannot do—is allow those who refuse His love to “blackmail the universe.” Hell will not be allowed to eternally “veto” Heaven. The promise of coming judgment—something we confess every time we say the Apostles’ Creed—is essential to the Christian hope of a restored world. Not only is it motivation to take the Great Commission seriously, it makes the Good News of forgiveness in Christ so good. So, I’m with Michael McClymond. For Christians who take their faith seriously, eternal consequences, as taught in Scripture, still must have a place. Universalism isn’t an option.